Our Price: $41.20 37% off! Reduced Half Price! End of Season Special! Reduced half price! Just a few more pecans left! A box full of in-shell pecans! 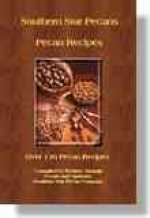 These pecans are thin-shelled hybrid Western Schleys, an extremely flavorful, sweet tasting pecan that is easy to shell. *We cannot ship whole pecans to Arizona or California due to state regulations. Please check out our shelled pecans. * Please note - These are small to medium size pecans. The varieties of pecans we produce are known for their exceptional flavor, not their size.